You know who you are. You are in this world but not of the world. You are not here to fight in the physical dimensions on Earth. You are not fighting at all. You have a unique purpose. You are here to be a light in a time of transition. You are helping in multiple ways with the very same light. You are more powerful than you can imagine. So be who you came to be. The highest way to serve others now is not through political action, through demonstrations, through being in groups of “us against them” etc. There are people whose soul purpose on the Earthplane is to do that. And that is perfect for them. This message is for you. The Angels want you to remember what your purpose is. You may look in the mirror and see a human being but you are so much more than that. Remember! Remember when you said, “Yes, I want to serve everyone by being a light. I want to bring forth the light through my life so that everyone who wants to will be able to ascend into a new world”. It has been easy to get caught up in the Earthplane world with all that is going on now. It is time to refocus your attention on your purpose, which is being light. Remember The Light does not live in one country. It is not American or Russian or Iranian. The Light does not speak one language. The Light is not Republican, Democrat, Tea Party or Independent. The Light is not poor or rich, male or female, young or old. The Light is All. And your soul purpose is to be the light now. This is the highest way to serve All. Just be the light. Rise above the actions and reactions on the Earthplane and shine your light all day and all night. You are not being asked by Spirit to direct or send your light to a situation or place. You have access to more spiritual power than at any other time but you don’t have enough information to know the full picture of what is going on. Being the light without judgments of any kind, you will be freely sharing the light. As Mother Earth needs some light energy, she will take it. As the Angels of people need it they know you are a clear source to get it from. You will also be creating the next world for the Ascension. Spirit is taking the light flowing through you, combining that with everyone’s intentions for their idea of a new world and creating it. You can be amazingly powerful and by just being you, by being light. 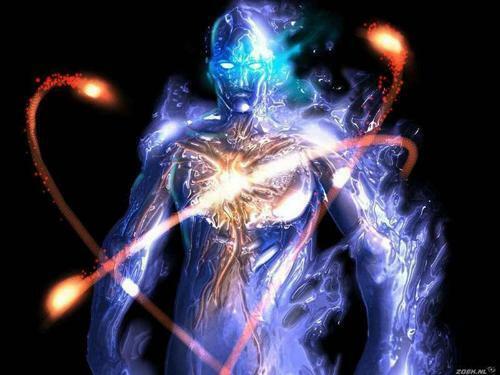 Warriors of Light, even though you are not fighting in the physical realm, you are powerful and you are creating change with every single light ray that you allow to flow through your life. Be the change that is lasting and helps everyone. Be the light. When it comes time for you to do something different, you will know. Just like you know this message is for you. Thank you. It was well received. Beautifully written and point well made.